The contests are live with a host who reads out the questions and conducts the show. He keeps up the pace, comments the answers and informs us about each stage of the game. Each contest has ten questions and to win it’s necessary to answer all of them correctly. Four possible answers are offered for each question, but only one of them is correct. If you answer the right one, you move to the next round but if not, since we’re talking about a knockout game, you’ll no longer be able to take part in the competition. It offers a jackpot that is shared out between all the winners. The users don’t have to compete against each other but simply answer the questions. It doesn’t matter if you’re faster or slower as long as you answer before you run out of time. To be able to receive the prize money, the contestant must provide his or her PayPal account which is where the jackpot will be paid into. The contests take place twice a day at 3 pm and 9 pm East Coast time. That means that if you live elsewhere, you’ll have to add or subtract hours to those times to calculate your local time. 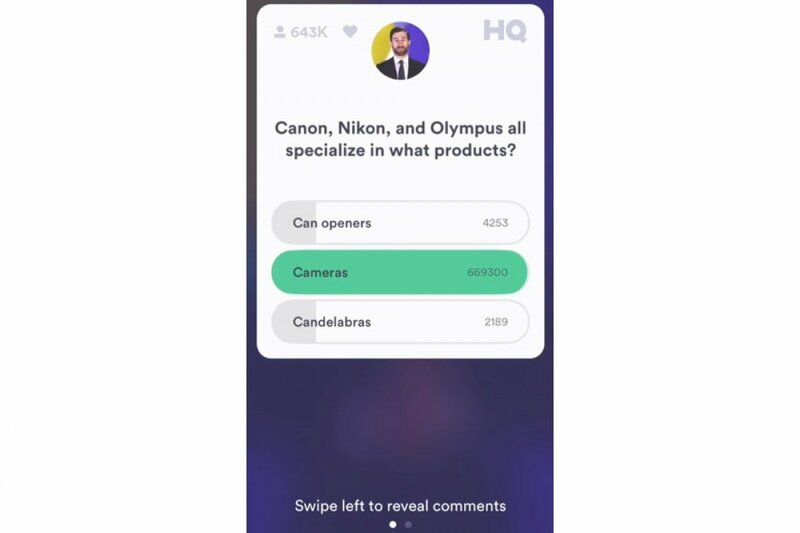 There’s a leaderboard topped by the players that have scored the most points on HQ Trivia. The application offers us a chat system by means of which we can talk and send messages to other players during the contest.